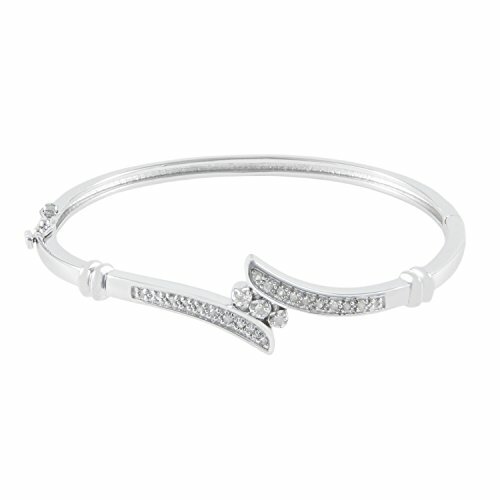 Wrap your wrist in this elegant silver and diamond bypass bangle bracelet. Crafted in sterling silver, three center stones connect with 1/4cttw round-cut diamonds in this seamlessly beautiful design. This timeless bracelet will never go out of style. If you have any questions about this product by JewelExclusive, contact us by completing and submitting the form below. If you are looking for a specif part number, please include it with your message.